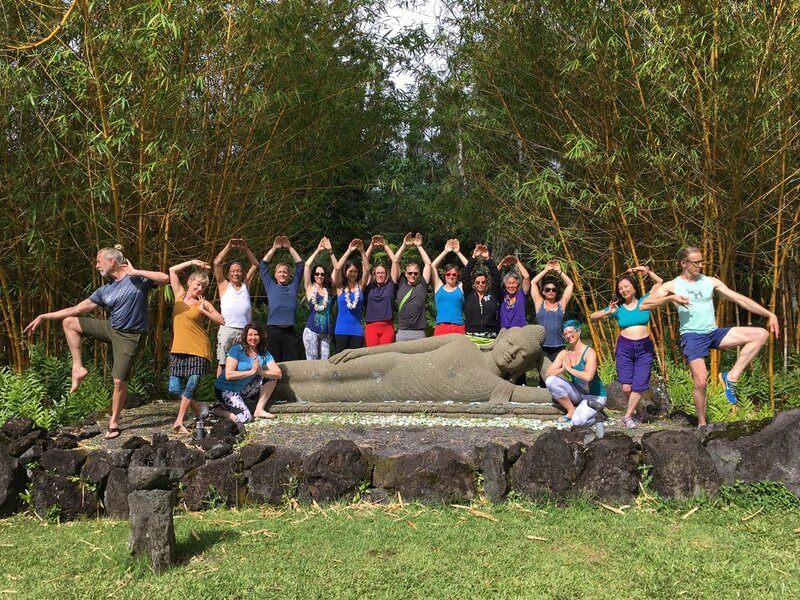 Immerse yourself in Douglas Ridings' renowned style of physically intelligent, dynamic, and precise yoga vinyasa during this six-day retreat in a lush and serene setting on Hawaii's Big Island. This is our third annual Yoga of the Physical Arts adventure in Hawaii! At Kalani Retreat Center, you will have an opportunity to immerse yourself in Douglas's unique teachings. Each day will open and close with a yoga practice focused on asana, alignment, and breath work. Daily workshops will introduce in-depth yoga topics and related movement arts. You'll also have the opportunity to explore the island's natural wonders. This retreat is appropriate for all levels of yoga experience, though a moderate level of physical fitness is recommended in order to take full advantage of the movement arts sessions. Just $300 (refundable before February 1) reserves your spot. Retreat fee includes five nights nights and six days at the beautiful Kalani Retreat Center on the Big Island, three meals per day, all classes and workshops, and transportation while on the Island. Participants are responsible for their own airfare. There is a $300 minimum deposit due at registration (refundable until February 1), and the full balance is due on February 1, 2018. Space is limited and rooms are assigned on a registration-date priority. Deposits accepted via PayPal. What's a typical retreat day like? Every day we start and end with yoga, venture around the south island on optional midday outings, and usually take an afternoon movement workshop. For days when you feel like staying put, Kalani has beautiful gardens, a swimming pool, massage, and daily classes available as well. Our itinerary is based on attendees' preferences, so if there's something you want to do or learn around the Kalapana area, let us know!